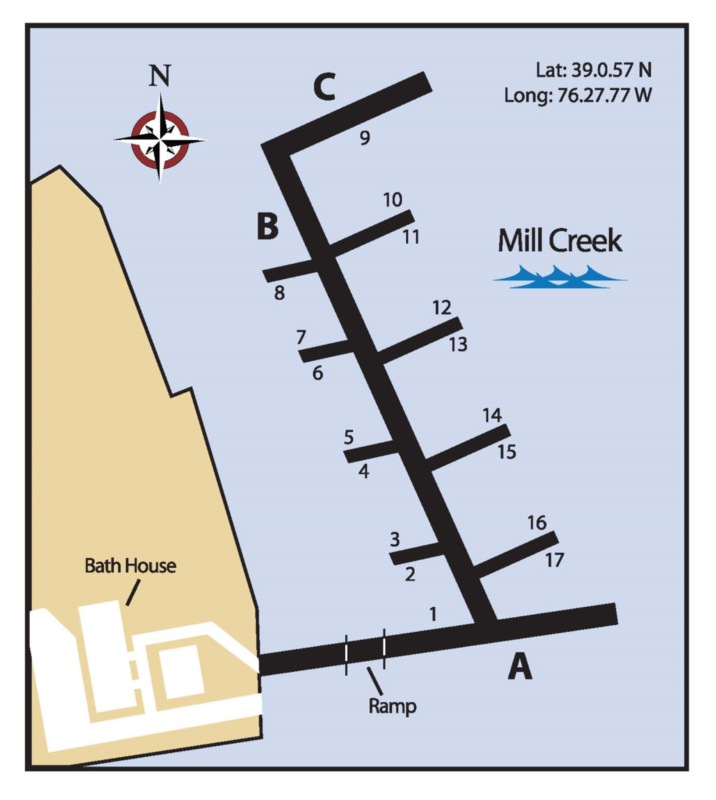 Our marina houses 18 wet slips ranging from 25ft to 45ft in length with side-ties up to 80ft in overall length. All of the slips on the floating docks are equipped with fresh water, electricity, and WiFi. Our foundation as Trident Marine Group marina is effective management and efficient facilities operation. We are equipped with the resources of our onsite and corporate team, focused on supporting clients through daily operations and unforeseen challenges. Our expertly trained management and staff are able to perform all marina operations in addition to customer support, workplace safety, risk management, environmental preservation, accounting and reporting, human resources, marketing and advertising. Trident Marine Group is a division of the Jerome J. Parks Companies, a diversified real estate development, construction, operation, and management company headquartered in Annapolis, Maryland. The company’s maritime experience dates back to the late 1960s in Annapolis with continuous operation and involvement ever since. Our maritime properties have been successful because of Trident’s commitment to both developing and maintaining first class facilities and customer service. Our company has been lauded by environmental groups for the implementation of new development methods to protect the delicate ecological balance that supports the Chesapeake Bay. In keeping with this standard, Orchard Beach Marina is proud to be a certified Maryland Clean Marina. This means we meet legal requirements and have voluntarily adopted pollution prevention practices at our marina in order to help improve the quality of Maryland’s waters.